Hey Loves and Mommas! I haven't posted any mom life updates/reviews in a while. A few of you have asked me how Joseph and I have been doing transitioning him from formula and food. Food is a whole other story but I'll tell you about the milk issue first. Joseph is now 13 months and growing so fast. Around 10 months, I started substituting ounces of his formula to begin the process of weaning him off Infamil Gentlease. 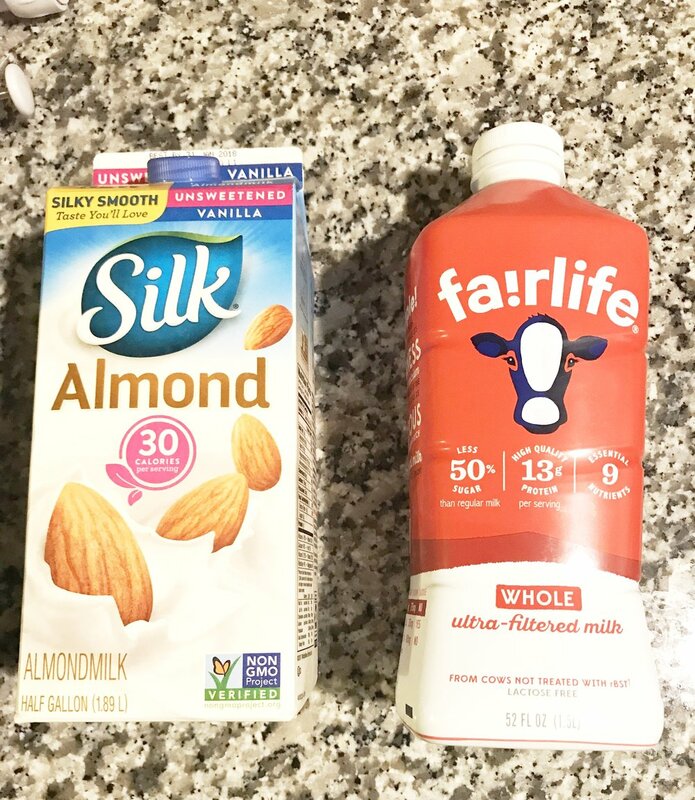 Now that he's completely off formula, I noticed he likes whole milk way more than Almond milk. When I'd give him almond milk he'd take forever to drink it. Or, he'd cry for the whole milk instead. We also noticed whole milk makes him constipated and gassy. To help him with this, I still give him baby food apple sauce, pears, or prunes everyday or at least makes sure he drinks apple juice before night time. All of these makes him poop and at night is when he would become aggravated. I can tell when he's constipated because he'd do this jerk movement in my arms while crying as if he has to poop but can't. I remember the first week I started giving him whole milk. Late one night, he was gassy, screaming to the top of his lungs. I felt so bad because he was miserable. We checked him into the emergency room but after being there for hours he finally settled down. We decided to come back home and eventually around 4am in the morning he finally went to sleep after Tylenol, apple juice, cartoons, and me rubbing his stomach. For awhile that night, I had to hold him while standing up, he'd cry whenever I sat down. Since we've been trying to eat more superfoods (plant based foods) lately, I really didn't want him on cows milk at all anyway. I couldn't find an alternative for us until this month. If I didn't have kids, I'd probably would try to go completely vegan. At the moment I just find it hard going cold turkey, with NO Meat / No Animal Products with kids involved. So, for now we do what works for us, which is just eating more superfoods and less of the other stuff (fast foods, processed foods) as much as we can. 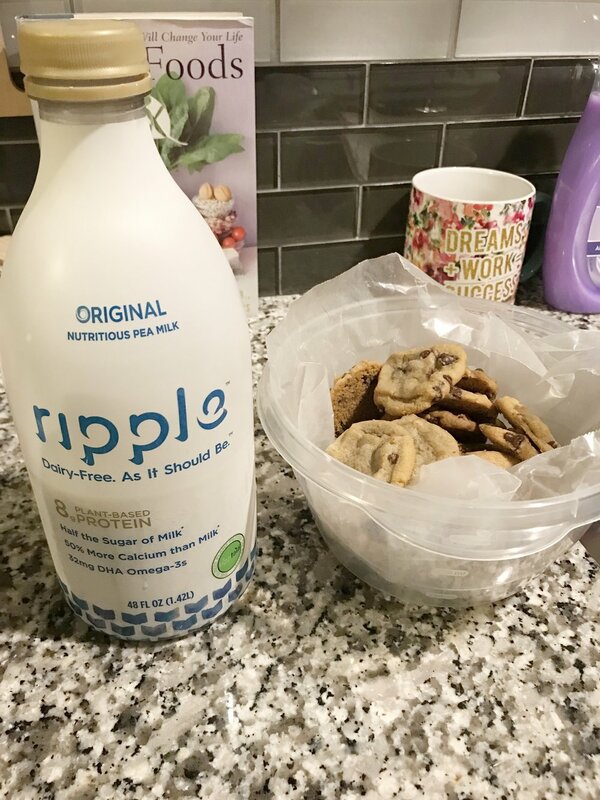 After doing much research, I decided to try the newest alternative to cows milk, which is pea milk by Ripple. My new find!! Yes, it's made from peas😊. One day I received an email about it and figured there's a Target not to far, why not. As of now, you can find the brand in Target or Whole Foods. As for Joseph, he drinks it! I've had no issues putting him to bed with it, he hasn't cried like he'd rather have the other, and no constipation/gas issues either. So far, so good. So, this is what I'll be keeping him on.